Happy Friday! Chris took the day off and we are off galavanting! While Chris doesn't like taking full weeks off (he feels he misses too much), he loves taking many Fridays off in the Summer. And we don't mind one bit! Speaking of Fridays... next week, I will be helping some of my favorite blogger friends host a fun and patriotic link up. I don't know about you, but I love any excuse to dress Noah up for whatever the current holiday is. Needless to say, Noah will be wearing a lot of red, white, and blue over the next two weeks. 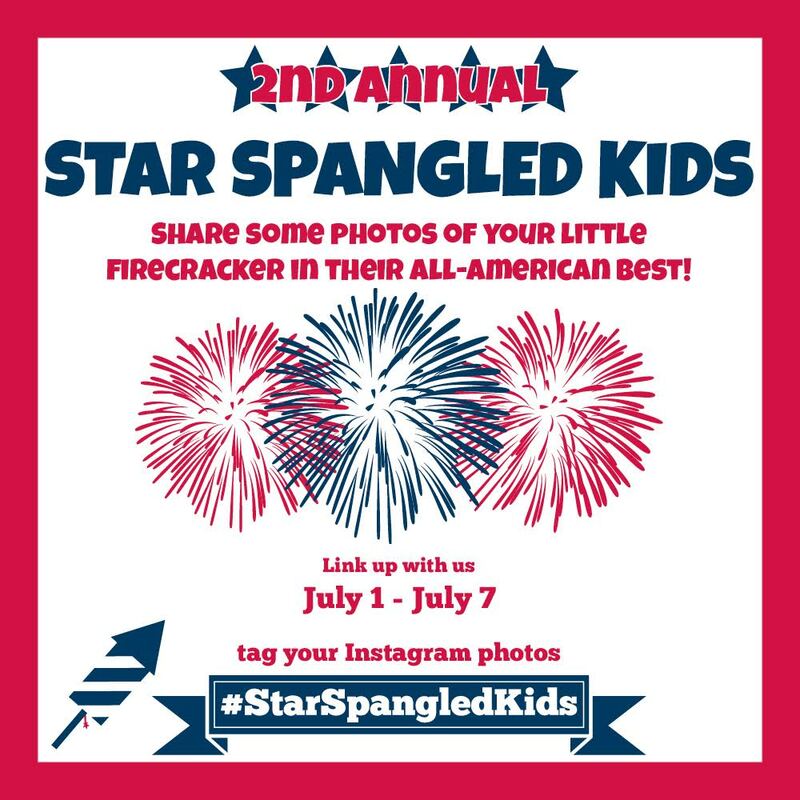 And I know I can't be alone, so why not photograph your child in their all-american best and link up with us for the 2nd Annual Star Spangled Kids Link-up!!! 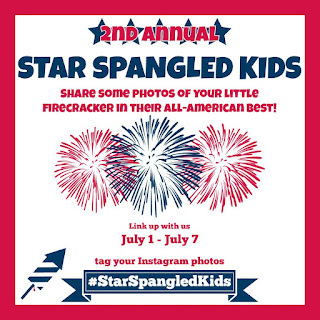 You can also share your patriotic photos on Instagram with the tag #StarSpangledKids. Yesterday marked our 2 year anniversary of closing on our first ever house! Some days it feels like we just moved in while other times it feels like we've been here forever. When we first moved in, I was sharing room tours as I "finished" them. While I should never say any room is really finished, they were complete enough to photograph and share. I love looking back at these photos for many reasons. Not only were the rooms super clean, but I'm also amazed at how so many of them have already changed (in little and big ways)! These photos are reminding me that it may be time to share an update on each of the rooms. Now for the fun part... Last month we mentioned that we will feature the bloggers with the most clicked links. 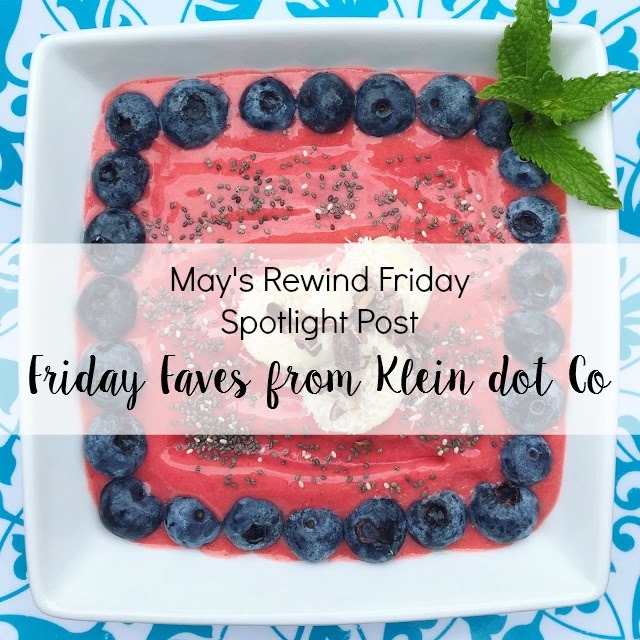 Here is the Spotlight Post for May! Make sure you link up this month for the chance to be showcased next month! Gorgeous home and you captured it well. I love your house and your decor! I'm still hoping to finally buy a house one day (hopefully soon - fingers crossed!) and maybe steal a design or two from your house! Looking forward to linking up with you all next week! I've said this before but it still holds true... I love the brightness of your home. 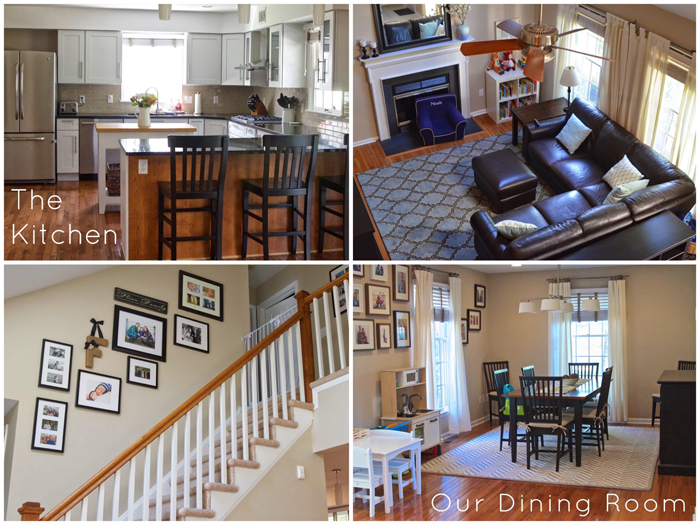 Beautiful Home, I'm joining the link up for the first time this week! I just love "snooping around other peoples houses. So glad you shared these. Your home does have AMAZING lighting. I wish I had considered that more when we designed our house.